Please contact our Corporate Office located in Southern California. We can be reached by email, fax or telephone Mon. - Fri. from 8 a.m. to 5 p.m. Pacific Standard Time Please give us a call for long term blanket orders, unlisted products or special sizes. All domestic orders will be shipped via UPS Ground, prepaid and added to the invoice. International orders will be shipped via UPS cheapest method. For quicker shipping or requests to ship collect, please specify in the "Special Instructions/Comments" box during checkout. Please confirm the courier name and your account number for collect shipments. All special requests will be confirmed by email. For international orders, please be advised that shipping charges do not include any Customs fees, including Duties and Taxes. These fees will be the responsibility of the consignee. The invoice, including the shipping charges, will be emailed to you once your order is packed and shipped. Your credit card will not be charged until your order ships. When you see an item you are interested in, click on the link and you will be taken to a product page with all available information for that product including accessories, related products and application notes. There will either be a Request for Quote button or an Add to Cart button for each product available. You will be able to view what you have in your cart periodically by clicking View Cart in the upper menu bar. When you are satisfied with your order, you may click Checkout in the upper menu. You will be prompted for your credit card and addresss information. There is a box at the end of the ordering process titled Comments if you have any questions or special instructions for your order. When you have completed your payment information and looked over the final shopping cart contents, click the submit button only once to place your order on our secure site. If you are requesting a quote only, you will not need to enter credit card information. If ordering by mail please include catalog numbers, pricing, P.O.#, billing and shipping addresses, shipping preferences, buyer's name and contact information. Cancellation of an order after it has been processed or refusal to accept delivery of an order can result in a 15% restocking fee. Terms are Net 30 days from date of shipment on approved credit. Taxes are added where applicable. Prices subject to change without notice. We accept Visa, Mastercard, American Express and Discover. All prices reflected on this website are in "for domestic purposes only". For international orders Click Here to See a List of Our International Representatives. If we do not have a representative in your country, please place your order online or contact us directly by email for further assistance. A Returned Goods Authorization Number must be obtained prior to the return of any product. A 15% restocking fee may be charged. Returned goods may be accepted for up to 30 days after the shipping date. No returns are allowed on special orders or custom modifications. If you should receive merchandise that is damaged, please notify us as soon as possible and we will replace it. Make sure if you do receive damaged merchandise to keep the packaging for inspection by the shipper. You can call us at 1-800-728-2233 or email us at info@southbaytech.com for a Return Authorization Number or to report damaged goods. Your right to privacy and security is our top priority. 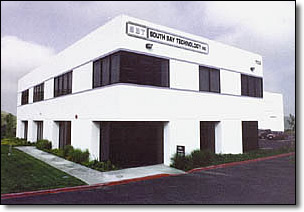 South Bay Technology, Inc. does not engage in selling, marketing or sharing of your personal information. We only require personal information when it is necessary to do so, such as completing your order. We utilize Secure Socket Layer (SSL) technology to allow for the encryption of your personal information. Our Shopping Cart is secured by VeriSign Technology. Please click here to view or print the Sales Terms .pdf.